Spring is coming! While it’s still coat weather up where Eric and Jess are, Bertha’s starting to break out T-shirts and shorts. Hope everyone is enjoying their spring breaks, and remember to take some time to relax! Taiwanese-American Andrew Yang announced his candidacy for the 2020 presidential election: Yang is running for the Democratic nomination, and his platform starts off Universal Basic Income. Sound like an idea from the future? Here’s what Yang has to say about it. Guest Contribution on TaiwaneseAmerican.org: a commentary on anti-blackness in the Taiwanese-American community, first made relevant by a violent altercation at an Asian-owned nail salon. 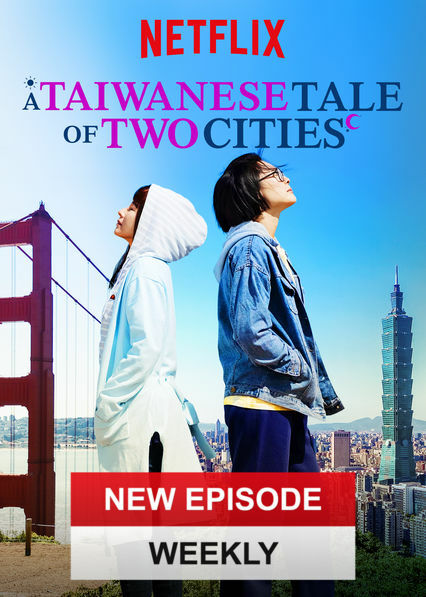 A Taiwanese Tale of Two Cities: technically not “new” news, since it first piloted last September… nevertheless, we’re excited to see Netflix create a show about Taiwanese and Taiwanese-Americans, and we’ve cried over the emotional journeys of self-discovery that the two main characters face. Speaking of which… One of the two cities that the series is named after is Dadaocheng, a city rich in sizzling eateries and historic architecture. Check the kitchens of Dadaocheng next time you fly into Taipei! With spring here, that means summer is right around the corner. While we encourage learning more about Taiwan, nothing beats actually GOING to Taiwan. Apply to these programs to have a chance to experience Taiwan in full. STEP Taiwan is a 2 week program where you can help rural Taiwanese students learn English. All the while, you can learn about Taiwan, see the sights and interact with the locals. TASC is a 3 week conference held in Taiwan and conducted in English. Throughout the conference, 21 university students from Taiwan and 21 from America travel to several cities and participate in roundtable discussions, speaker events and cultural excursions. For more detailed information, please visit http://www.taiwan-america.org or email executivecommittee@taiwan-america.org if you have any questions. The state with the most bubble tea might not surprise you — California gets the award for “highest mouth share” for bubble tea (how popular bubble tea shops are relative to other food and drink shop, according to Yelp). Seven out of the top ten cities are in California — with Houston, Boston, and San Antonio sneaking in as the other three!